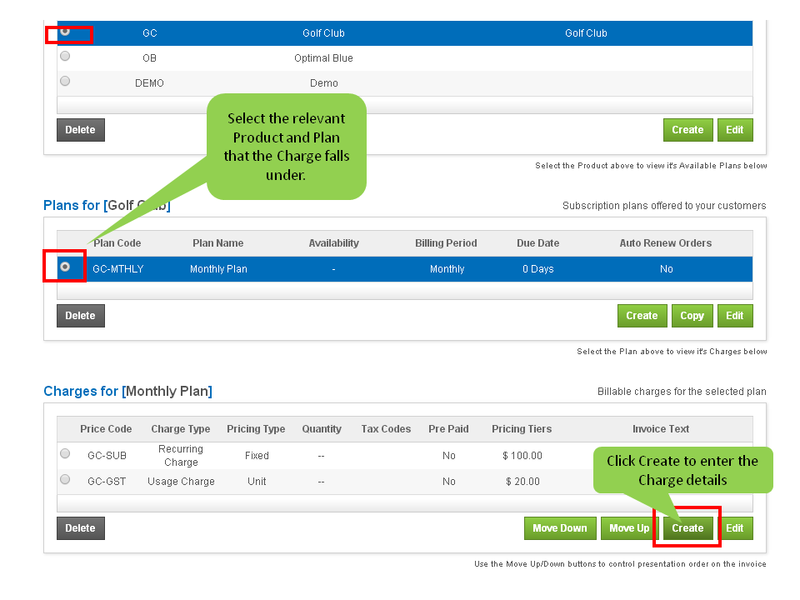 If you would like to add a new product charge to an existing plan and the plan already has orders and invoices attached to it, you can do so from [Plans>>Plans and Charges>>Select the Plan>>Create a Charge] See figure below: Select the relevant Product and Plan that the Charge needs to be under. Next, enter all relevant details of the Charge in the Edit Charge page and click Save. To Add the Charge to ONLY subsequent Orders: If the Charge is to be added only to Orders that are created subsequently, the steps mentioned above will suffice. So when a new Order is created for a customer the new charge will show up on the Order. 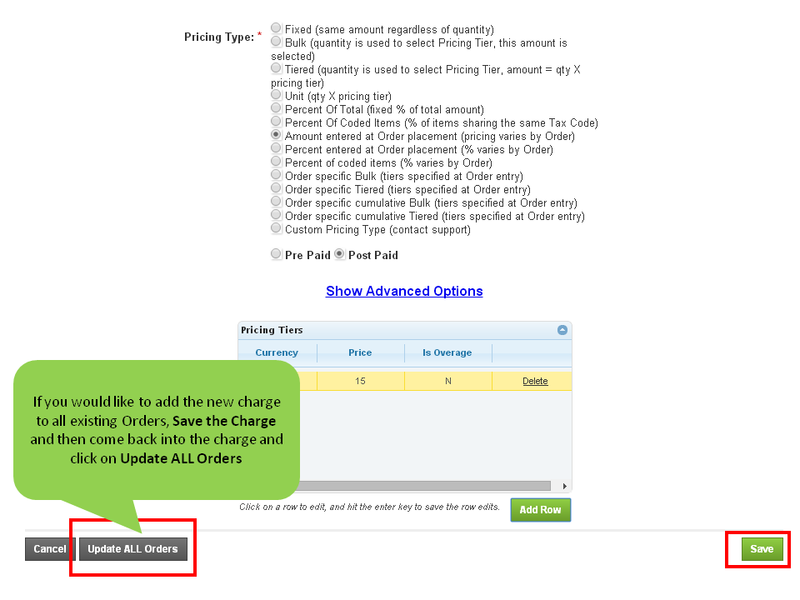 To Add the Charge to ALL Orders: In order to add the Charge to ALL Orders Existing and subsequent new orders that are created, from the Edit Charge page, enter all the Charge details then Save. From the "Plans and Charges" page, select the Charge one more time, and then select the "Update ALL Orders" button. See figure below. In this case, a customer that already has an Order will now have the new charge added to the Order.